Just curious about your opinions are on Amiibos. If you have them, if you use them, what you use them with, what you're planning on getting, etc. As for me, I only plan on getting the Amiibos for my mains in Smash (Jigglypuff and ROB), and I'll probably train them to Level 50 in Smash. Other than that, I just want them to have on my shelf, since they're really nice just as figurines to have. I have Pikachu, which I picked up on release day. I have practically never used it, though. I kind of want a few others, but scalpers aren't helping the prices. I bought the Super Smash Bros Yoshi one on release day. Played with it a little bit, but not much beyond that. 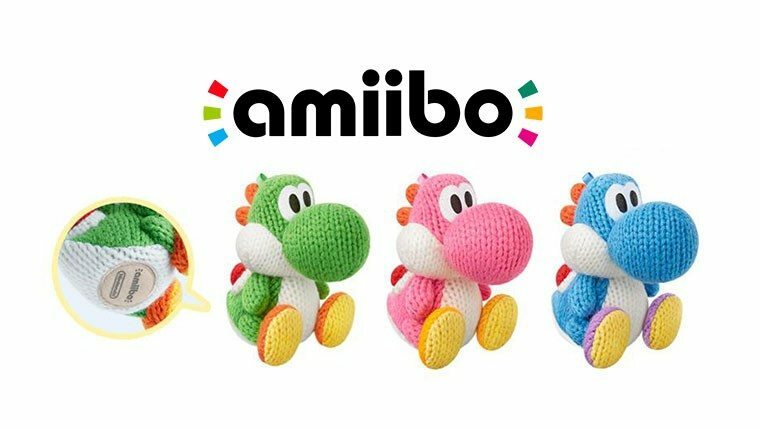 I also got the Yoshi from the Super Mario series, and am planning on getting SSB Charizard and one (or possibly all...)extremely adorable wool Yoshi, but those will all remain in their box as I am more interested in them as just regular figures instead of very limited DLC. There are a few others I'd like to get but $~13 for a small figure is a bit much, and only inflates from there if scalpers are helping. Last edited by Yoshi648; May 18, 2015 at 05:48:14 PM. I got Link pretty early on and have fun going against him in Smash brothers, I'll probably pick up the other Legend of Zelda characters. One because Sheik is on of my best friends main and because they will look nice with. Other ones are a pipe dreams thanks to my favorite people, scalpers. Its kinda dumb that the greninja Amiibo is only going to be at Toys R Us stores. I don't have any since I don't have a Wii U or a New 3DS. n_n They haven't released the adapter for the old 3DS yet either, so I'm waiting on that to be released before I get any amiibo. ;3 There's a few I want, but it can wait. Hopefully by the time I get them, the hype's died down significantly. Well, I didn't have a way to Target this morning, so I asked my dad to go and try to get a Jigglypuff for me whenever he got off work (he works nights and gets off at 7 AM). According to him, there were 3 people in front of him and 5 Jigglypuffs left. When he got to the counter, there were 3 Jigglypuffs left, and the last 2 after he got mine were bought by people behind him. Either way, I got my Jigglypuff, now I just have to wait until ROB gets released (and maybe Mewtwo) and then I'll have my Amiibo tastes satisfied. I stopped at WalMart this morning before work. Amiibo selection was exactly the same as it was when I was there a few weeks ago. They already had Splatoon out (all of two copies left) so don't know if they already sold out of everything or didn't get new amiibo. Figuring even if they did stock them later, they and GameStop would be out of everything by the time I got out of work so I went to Amazon and snagged a Charizard there right as it became available (they had timed releases for each amiibo they stocked). Charizard was out of stock when I checked again an hour later so glad I got it when I did. Last edited by Yoshi648; May 29, 2015 at 05:38:48 PM. At Fry's yesterday, I saw a few dozen copies of Splatoon and plenty of Bowser amiibo, but the Charizard ones were sold out. Toys r Us didnt have greninja either i waited 2 weeks. They had a bunch of otheres like the silver and gold mario, but no greninja. The only greninja i saw was with a pokemon action figure set. I grabbed Zelda and Rosilina when Rosilina became aviable to order at target. There is a big line up of Amiibos for September and I am going to predict the rarity of each Amiibo. Remember these are just my predictions so I could be completely wrong. Last edited by Aquablast; August 5, 2015 at 03:22:49 PM.